"Certified Senior Agile Project Manager (IAPM)" is a certification level for candidates with both knowledge and extensive practical experience in agile project management. The knowledge questions are based on the content of the Agile PM Guide 2.0. The examination covers both the hard and soft factors of project management. Candidates for this certification require at least five years of agile project management experience, three of which in a management position or responsible leadership function. You can test yourself (25 questions in 20 minutes) at any time to find out whether you still have any knowledge deficits. This test also provides you with an idea of the kind of questions and level of difficulty you will encounter in the certification examination. The selftest can only be done once. Whenever you feel ready you can register for the certification examination. In the registration form you will be required to enter your personal data, your project history (a list and descriptions of between one and five agile projects in which you worked for at least three years in a management position or responsible leadership function) and the rough number of hours that you have worked in agile project management in the last five years. When you submit the registration, the IAPM will check to see whether you meet the admission requirements. The registration form has to be filled in and submitted on the IAPM website. Postal submissions are not possible. If you meet the admission criteria, you will receive an invoice with a 30-day payment deadline. Then you have life-long proof of your knowledge and practical experience in agile project management. This is an advantage in job application processes and can give your career a boost. What does the "Certified Senior Agile Project Manager (IAPM)" certification cost? 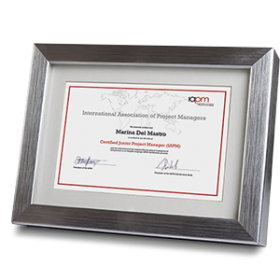 Who is "Certified Senior Agile Project Manager (IAPM)" certification geared to? "Certified Senior Agile Project Manager (IAPM)" certification is intended for people who want to get their theoretical knowledge and practical experience in agile project management certified. To be eligible for certification, candidates have to provide proof of at least five years of professional experience in agile project management. What are the advantages of "Certified Senior Agile Project Manager (IAPM)" certification for me? "Certified Senior Agile Project Manager (IAPM)" certification confirms your theoretical project management knowledge, which includes knowledge on both soft skills and hard facts, as well as your extensive practical experience in agile project management. Certification can tip the balance in your favour when you're looking for a new job or changing careers. It demonstrates your knowledge in project management, which sets you apart from your rivals. Candidates for "Certified Senior Agile Project Manager (IAPM)" certification have to provide proof of at least five years of experience in agile project management, three of which in a management position or a responsible leadership role. The "Certified Agile Project Manager (IAPM)" certification only confirms the holder’s knowledge of agile project management. Practical experience is an advantage, but not necessary. ​How is project management experience assessed in advance of "Certified Senior Agile Project Manager (IAPM)" certification? The candidate can list and describe a maximum of five projects. Points are awarded for these projects on the basis of project data and the candidate’s project experience during the last five years. The total points score is calculated using a mathematical formula. Candidates for Certified Senior Project Manager (IAPM) certification must achieve a minimum score of 40 points. Otherwise, they can only be approved for Certified Project Manager (IAPM) certification. How extensive is the "Certified Senior Agile Project Manager (IAPM)" certification examination? The certification examination questions relate to all topics covered by the Agile Agile PM Guide 2.0. 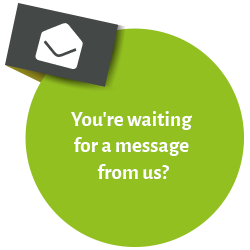 You’re very welcome to contact us if you would like us to answer any further questions about "Certified Senior Agile Project Manager (IAPM)" certification.